CPU-Z adds the support of upcoming Intel Coffee Lake and Z370 chipset. You can download CPU-Z 1.81 from THIS PAGE or from CPUID.com. HWiNFO adds the support of Intel Ice Lake (available in 2018) and improve the support of AMD Radeon RX Vega GPUs. 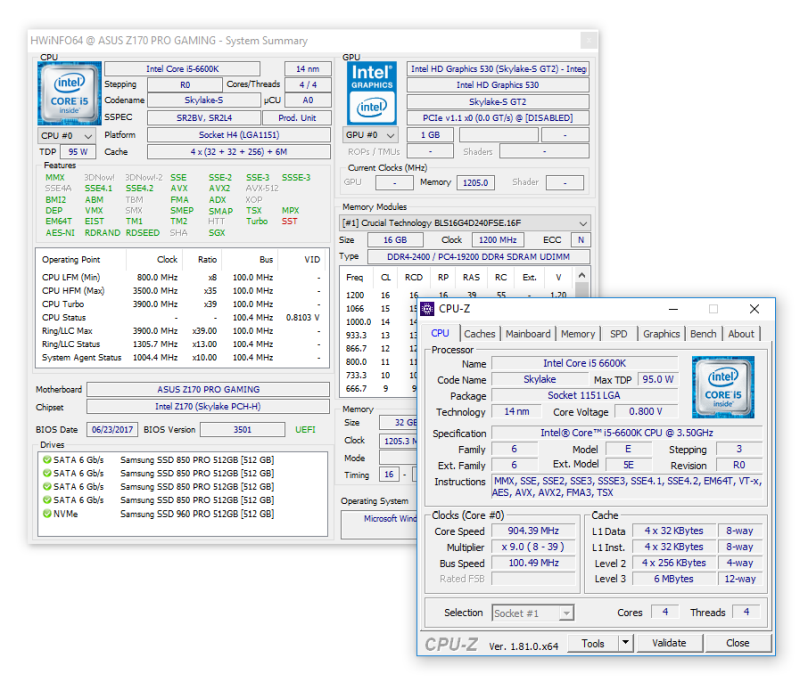 - Fixed monitoring of some disk activity sensors.Enhanced sensor monitoring on ASRock X399 series. - Enhanced sensor monitoring on MSI Z370 series.Enhanced sensor monitoring on Biostar TB250 series. You can download HWiNFO 5.58 from HERE (64-bit) and HERE (32-bit) or from hwinfo.com.